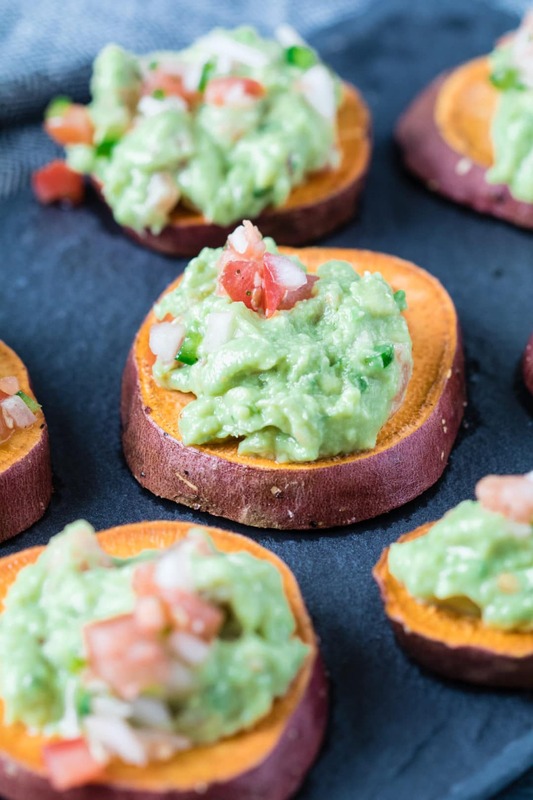 Sweet Potatoes with Guacamole – easy, healthy AND tasty, what more could you ask for!? Inspo for this recipe came from Terri Fry @donetoatee. 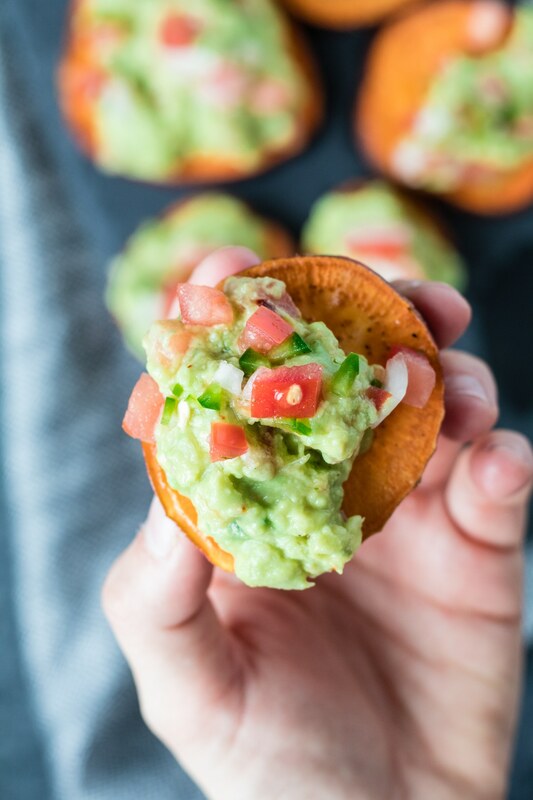 I love sweet potato, and I love guac…it beats me as to why I have never thought of this myself! 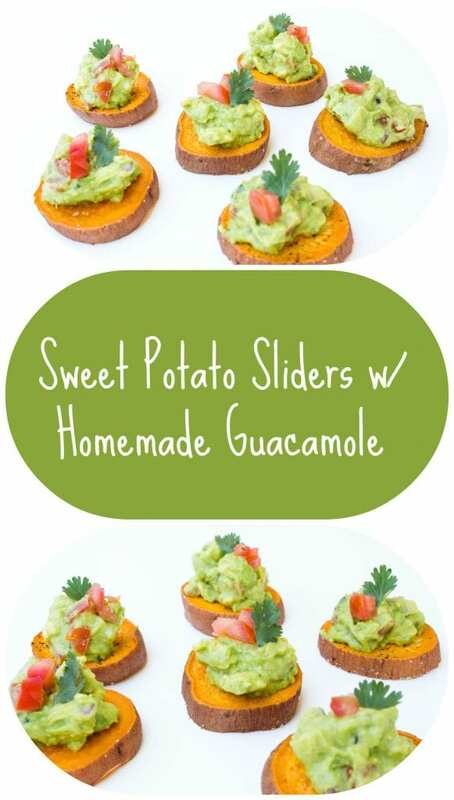 Since I am still blogging for the Bar Method Fresno I made these for this weeks theme “Healthy BBQ idea” & also because Memorial Day Weekend is approaching. I am really burnt out on macaroni salad and all of those high fat sides… If you are too, try making these for your guests and see what they think! 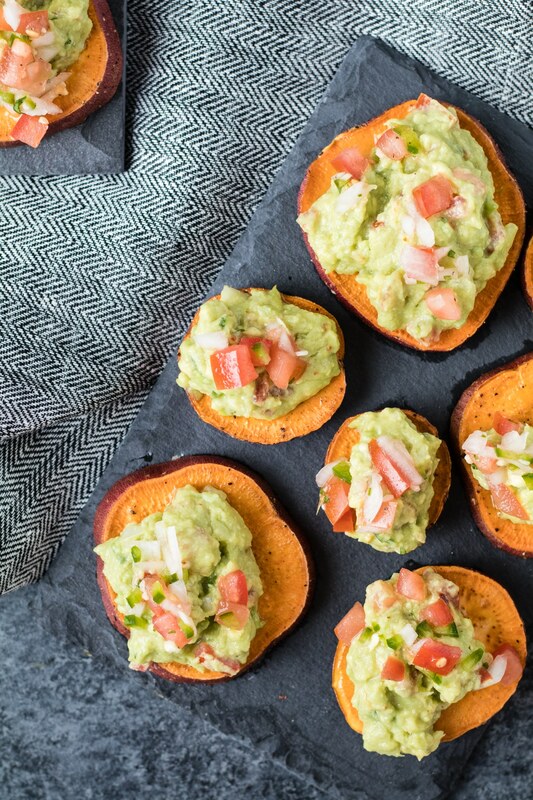 Use your sweet potato as a chip and top with guacamole! Preheat oven to 350 degrees F. Prepare a baking sheet lined with parchment paper. Wash and slice sweet potatoes into 1 inch rounds. Mix the slices in a bowl with salt, pepper, and olive oil until rounds are lightly coated. Place on the baking sheet and bake for ~20-30 minutes, or until tender. While sweet potatoes cook, Prepare the guacamole. 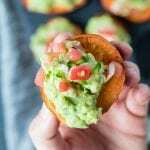 Mash the avocados in a medium sized bowl and mix in all other ingredients. Adjust seasonings if desired. Let the sweet potatoes cool slightly before placing guacamole on top. Top with fresh cilantro and tomato for garnish and serve immediately! These.are.brilliant! 🙂 They combine so many flavors I love in one (or two) simple bites. I’ll definitely be making these very soon!